Bøverdalen Hostel lies along the Sognefjell road. We are a good starting point for hiking,summer skiing or simply for relaxing in fresh air. Bøverdalen offers many activities; summer skiing, glacier hiking or a guided tour to Galdhøpiggen (Northern Europe´s highest mountain) or tours to 20 other moutains with an altitude of more than 2.000 m. Sights: the Norwegian Mountain Museum, Lom Stave Church, The Mineral Centre at Lom, and Bøverdalen Church, an octangular wooden church from 1864. 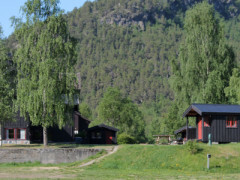 Also camping site and 10 cabins., Bøverdalen is known for its beautiful scenery. The small town is located 19 km from Lom, in the direction towards Sognefjellet. Our guests often enjoy walking in Jotunheimen. Our hostel is well suitable for bicycle tourists and guests that have their own car. The activities in our area are many. 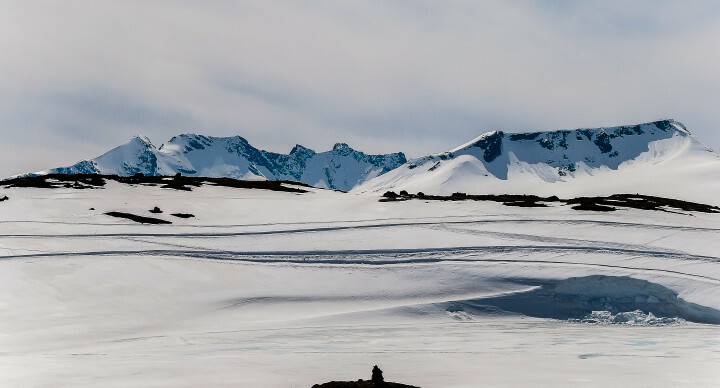 In summer we recommend summer skiing, hiking on glacier or to Galdhøpiggen or just relax and enjoy the nature. Galdhøpiggen is the highest mountain (2 469 m above sea level) in Northern Europe. There are 20 other peaks in our area that are over 2 000 m above sea level. You may also visit the Norwegian Mountain Museum, Lom stave church, Fossheim Stone Center and Bøverdalen Church; an octagonal wooden church from 1864. Bøverdalen Hostel has pleasant rooms and living rooms. The hostel offers accommodation in a single bed and private rooms for up to 6 people. All rooms have shared showers- and toilettes facilities. But the hostel offers cabins with private bathrooms.